Home & Office Rubbish Removal Middlesex UB | Quality Property Care Ltd.
Once you arrange the rubbish removal service, we will sent to you the tested and vetted specialists. They will evaluate the volume of junk and will settle a date. Make a combo with junk removal service and any of our expert cleaning services to get a unique discount! Our rubbish removal company delivers a full range of competitive and eco-friendly cleaning services that can match any funds! Whatever you need cleared out and removed, you can rely on the experienced, trained and vetted personnel of Quality Property Care Ltd. to collect the junk, and take care of the disposal of various types of rubbish safely and in accordance to all regulations at a great rate. After you receive the preliminary price estimate and book a visit, the rubbish removal operators will come to the place, and calculate the actual price in accordance to the specific type, volume and quantity of the stuff or other waste you need to take out and dispose of. The waste will be loaded, shipped and disposed of based to all rules for eco-friendly waste disposal. Junk removal services from Quality Property Care Ltd. is available for you. The helpful and supportive technicians work every day - with no exclusion for week-ends or bank holidays. You can organise an express service or to name your individual instruction about the action. If you have any concerns about the junk, we offer a free consultation with free tip on the organization. Get in touch with our professional rubbish removal client support representatives right away! 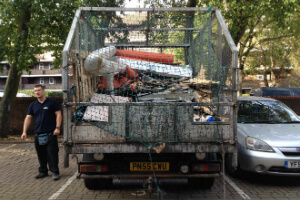 Use this phone number: 020 3746 4287 to find more detailed data or to organise your junk removal service. Note that we are available for express services. Re-scheduling is OK and absolutely free. To book the junk removal service you demand, all you need to do is send an online reservation form or contact 020 3746 4287. The customer care service is out there and will be back with a written confirmation straight away. If you pick to book combined services, such as: after builders cleaning with builders waste removal, or gardening services with garden waste removal, you will have very nice discounts! Book now, no downpayment is needed! 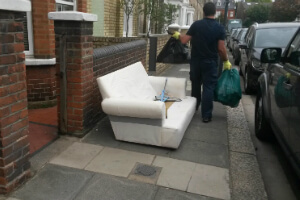 You can book the junk removal services on bank holidays and weekends with no charge added. Also, same-day service booking is available.